The African Development Bank is launching the 2018 edition of its yearly flagship report, the African Economic Outlook (AEO), on Wednesday, January 17, 2018 at its headquarters in Abidjan. As a leading African institution, the Bank is the first to provide headline numbers on Africa’s macroeconomic performance and outlook. The African Economic Outlook bridges a critical knowledge gap on the diverse socio-economic realities of African economies through regular, rigorous, and comparative analysis. It provides short-to-medium term forecasts on the evolution of key macroeconomic indicators for all 54 regional member countries, as well as analysis on the state of socio-economic challenges and progress made in each country. The January release will provide a rigorous and comprehensive analysis of the state of African economy, country profiles with key recent developments and prospects for each country, while a set of Regional Economic Outlooks for Africa’s five sub regions will be soon. These self-contained, independent reports, will focus on priority areas of concern for each sub region and provide analysis of the economic and social landscape. The African Economic Outlook (AEO) Report 2017 is the product of close collaboration between the African Development Bank, the OECD Development Centre and the United Nations Development Programme. As with previous editions, the AEO 2017 reviews Africa’s past economic performance and provides medium term projections for the continent as a whole, regions and individual countries. The AEO 2017 deepens the analytical rigor of previous editions, highlighting the uniqueness of the report for the continent and the impact it has made across Africa and beyond. The theme of 2017 AEO is Entrepreneurship and Industrialisation. This 16th edition of the African Economic Outlook looks closely at how African entrepreneurs can thus accelerate the continent’s industrialisation to change the course of development and discusses the policies necessary to foster more sustainable and inclusive growth. The African Economic Outlook (AEO) Report 2016 is the product of close collaboration between the African Development Bank, the OECD Development Centre and the United Nations Development Programme. As with previous editions, the AEO 2016 reviews Africa’s past economic performance and provides medium term projections for the continent as a whole, regions and individual countries. The AEO 2016 deepens the analytical rigor of previous editions, highlighting the uniqueness of the report for the continent and the impact it has made across Africa and beyond. The theme of 2016 AEO is Sustainable Cities and Structural Transformation. This 15th edition of the African Economic Outlook looks closely at Africa’s distinctive pathways towards urbanization and at how this is increasingly shifting economic resources towards more productive activities. The African Economic Outlook (AEO) Report 2015 is the product of close collaboration between the African Development Bank, the OECD Development Centre and the United Nations Development Programme. As with previous editions, the AEO 2015 reviews Africa’s past economic performance and provides medium term projections for the continent as a whole, regions and individual countries. The AEO 2015 deepens the analytical rigor of previous editions, highlighting the uniqueness of the report for the continent and the impact it has made across Africa and beyond. The theme of 2015 AEO is Regional Development for Spatial Inclusion in Africa. It highlights the degree of regional development and spatial inequality in Africa and the factors accounting for widening disparities and the policies required to address them. The African Economic Outlook (AEO) Report is an annual publication jointly prepared and published by the AfDB, the OECD Development Center and the United Nations Development Programme (UNDP). It provides comprehensive and comparable data and analysis of the 54 African economies. The AEO is the only resource on Africa which employs a cross-country, macro-economic framework, allowing for comparative analysis both over time and across countries. Each year, the AEO focuses on a specific and critical theme on Africa’s emerging socioeconomic development issues. The theme is carefully selected in consultation among all partner institutions. The African Economic Outlook (AEO) Report is an annual publication jointly prepared and published by the African Development Bank (AfDB), the OECD Development Center, the Economic Commission for Africa (ECA) and the United Nations Development Programme (UNDP). As with previous editions, the AEO 2013 Report underpins this close collaboration in many respects and has expanded in scope covering all Africa countries, except Somalia. The African Economic Outlook (AEO) is an annual publication jointly prepared and published by the African Development Bank, the Development Centre of the Organisation for Economic Cooperation and Development (OECD), the United Nations Development Programme (UNDP) and the United Nations Economic Commission for Africa (UNECA). The AEO has received generous financial support from the European Commission and the Committee of Ambassadors of African, Caribbean and Pacific States. The Report surveys and analyzes the economic performance of African economies and provides information on a country-by-country basis on the short to medium-term prospects on the Continent. An important feature of the 2012 edition of the AEO is that it combines the Bank’s Country Policy and Institution Assessment (CPIA) framework with the preparation of the AEO country notes. The 2012 edition of the AEO covers 53 African countries, including for the first time Eritrea and the new state of South Sudan. The African Economic Outlook (AEO) is an annual publication jointly prepared and published by the AfDB, the Development Centre of the Organisation for Economic Co-operation and Development (OECD), the United Nations Development Programme (UNDP) and the United Nations Economic Commission for Africa (UNECA). The AEO has received generous financial support from the European Commission and the Committee of Ambassadors of African, Caribbean and Pacific States. The Report surveys and analyzes the economic performance of African economies and provides information on a country-by-country basis on the short to medium-term prospects on the Continent. The 2011 edition of the AEO covers 51 African countries, up from 50 countries in the previous year. 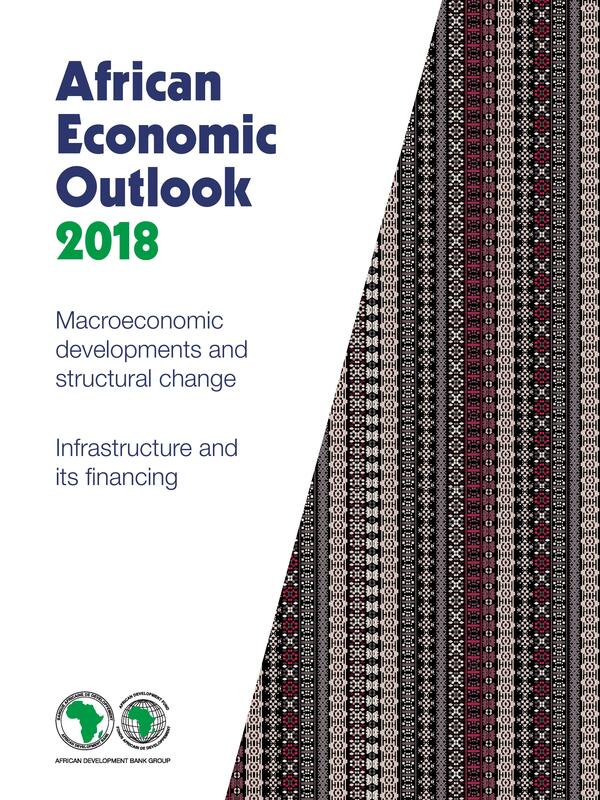 The annual African Economic Outlook (AEO) is published jointly by the African Development Bank, the OECD Development Centre and the United Nations Economic Commission for Africa, with financial support from the European Commission and the Committee of African, Caribbean and Pacific Group of States. The 2010 Outlook covers 50 African countries, up from 47 last year. The AEO presents a promising outlook for the continent with average growth rebounding to 4.5 per cent in 2010 and 5.2% in 2011 after the global financial and economic crisis had induced a marked slowdown on the continent. Both the fiscal balance and the current account are expected to improve after their deterioration in 2009. After its drop from 10.5% in 2008 to 5.9% in 2009, (median) inflation is projected to further decline to 5.4% in 2010 and to 5.2% in 2011. The annual African Economic Outlook (AEO) is published jointly by the African Development Bank (AfDB), the OECD Development Centre and the United Nations Economic Commission for Africa, with support from the European Commission. The 2009 Outlook covers 47 African countries, up from 35 last year. The report finds the region gravely affected by the global economic downturn. Following half a decade of above 5 per cent economic growth, the continent can expect only 2.8 per cent in 2009, less than half of the 5.7 per cent expected before the crisis. The AEO’s authors anticipate growth rebounding to 4.5 per cent in 2010. Growth in oil-exporting countries is expected to fall to 2.4 per cent in 2009 compared to 3.3 per cent for the net oil importers.